I LOVE planning holidays and spend most of my spare time researching our next trip. I like to know what to expect! 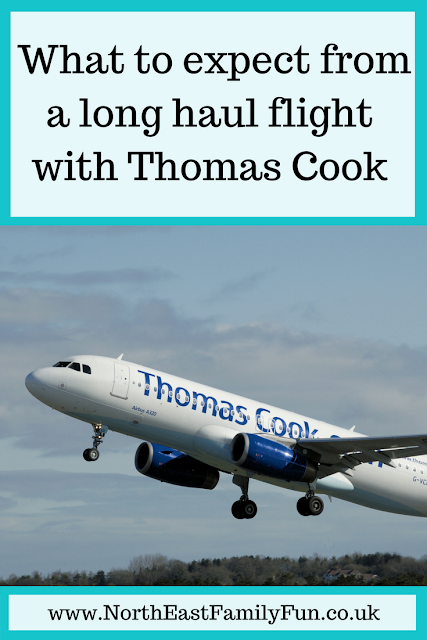 When I booked our child free holiday to Cuba with Thomas Cook, I had no experience of flying with Thomas Cook before and my expectations were that it would be a budget flight with no frills. I couldn't find any blog reviews online so I decided to write this one and let you know what to expect. Our flight was from Manchester to Varadero on an Airbus a330 and lasted around 9 hours. Our original flight time was changed from 10am to 12noon. We checked in online and after a restful overnight stay at the Airport, we were ready to check in at 8am. As we'd checked in online, we joined the self-service check-in desks. You scan your passport, weigh your own case and then a machine prints your label. You then fix this to your case and then pop it on the luggage carousel and away it goes. It was very bizarre not seeing a single person on check-in (although there are staff around to help if needed). We had booked fast-track security through the airport on the advice of my friend June from Travel Jems. At only £3 per person, this allows you to speed through security and join a separate (and quicker) queue. Definitely worth it. We then headed to the escape airport lounge where we spent a few hours relaxing before our flight. Boarding started around 45 minutes before our flight was due to take off and all seats are designated either when you book your holiday or at check in so there isn't a mad rush to get the best seat. The seating plan was 2-4-2 and Steve and I were seated together with another couple in the middle four seats. As you'd expect, everyone has their own personal TV with touch screen, situated on the back of the chair in front. I liked that you had your own USB point too so don't forget your chargers. If I am honest, I found the entertainment on offer to be very limited. I think we were spoilt during our bus trip to Spain where we were given a choice of over 200 movies and complimentary headphones. 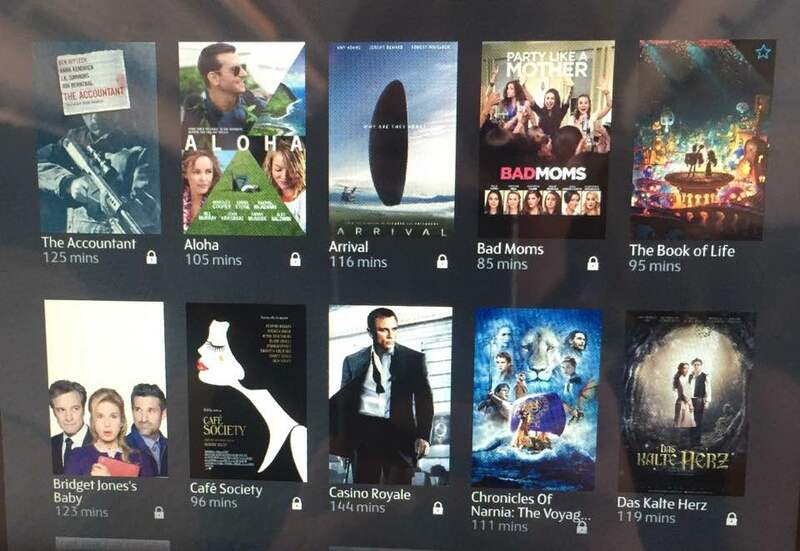 With Thomas Cook, you have access to just four movies without paying an upgrade fee. 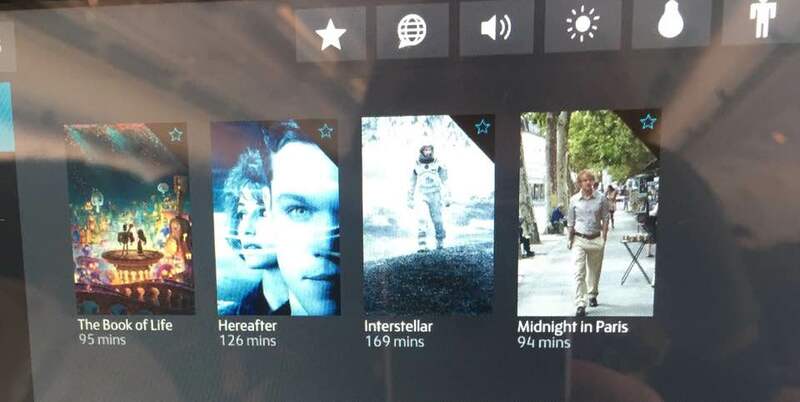 On our outbound flight the movies on offer were The Book of Life, Here After, Intersteller and Midnight in Paris. None of these appealed! So I decided to pay £5 for an upgrade. This provided me with access to 30 movies which although better, still wasn't great (especially as there are some foreign movies included in this). However there was enough to keep me entertained and I watched La La Land and Bridget Jone's Baby during the flight. The rest of the time I listened to the complimentary music (which had a better offering). 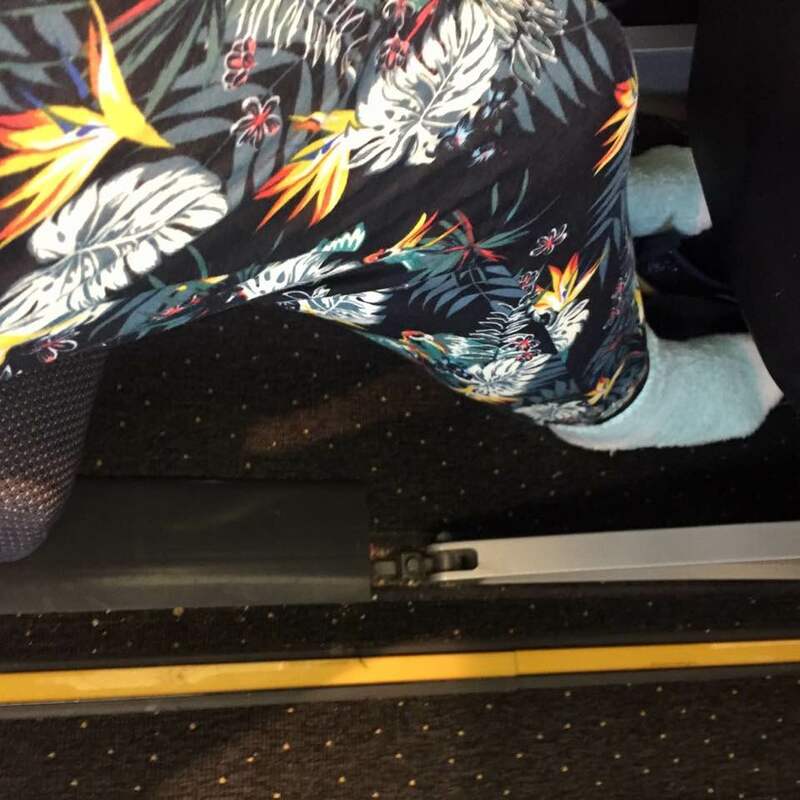 Overall, I was disappointed with Thomas Cook's on-board entertainment and feel that customers should not have to pay an additional fee and that they should provide much more options but I suppose their service was adequate for our flight. If you are travelling with kids, I'd definitely recommend pre-loading some movies onto your iPad too. 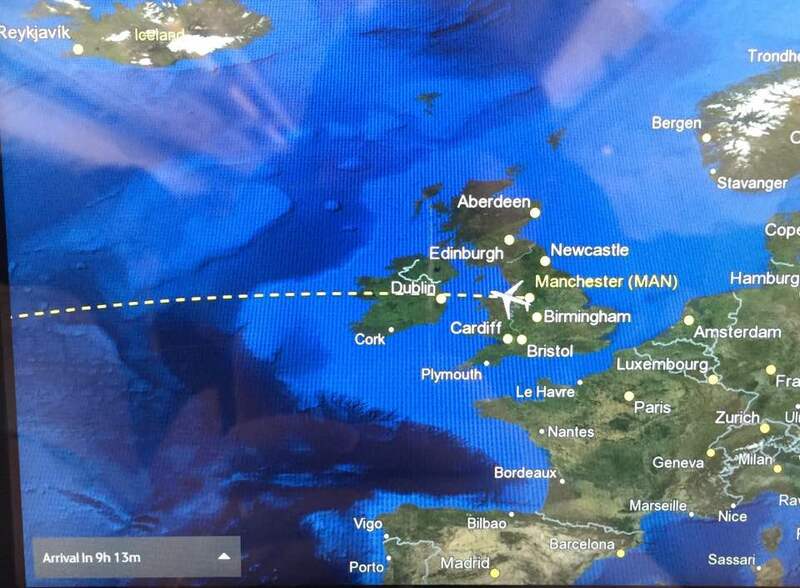 What I did like about the on-board entertainment system was the ability to check our flight stats and location. I love doing this and it's therapeutic to watch if you're listening to music. 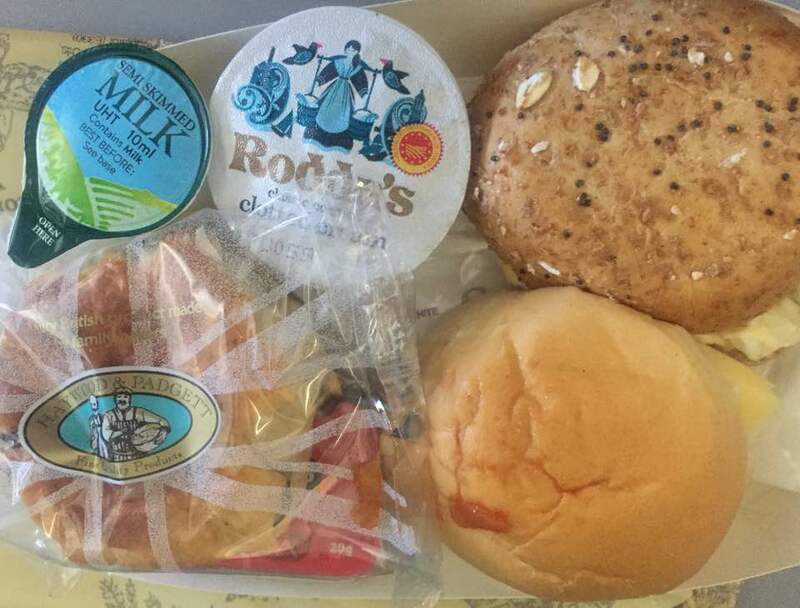 As we booked our flight as part of a package holiday, our in-flight meals were included in the price of our holiday. 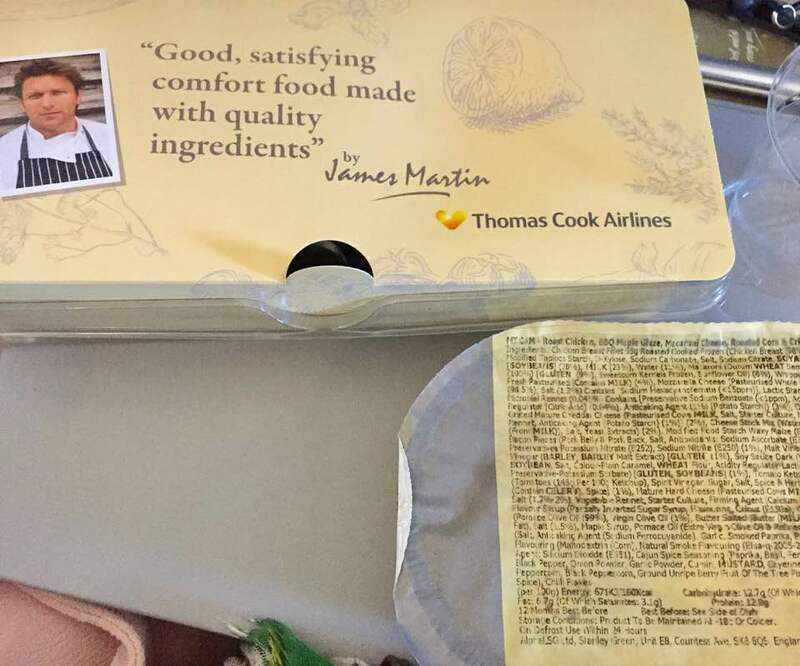 James Martin is the chef that puts his name to the meals served on-board and my expectations were not high but I was actually pleasantly surprised. You are handed two boxes - the first one is your hot meal (which you can select from 2 choices - chicken pasta or sausage and mash) and the second contains everything else from milk for your coffee to plastic cutlery and even an after dinner chocolate. I opted for the chicken and bacon pasta bake and I know this picture does not look nice at all but it was actually ok and actually one of the tastier micro meals I've had before. The second box contained a bread roll, butter, cheese, crackers and chutney, a chocolate mousse dessert and cutlery, napkins, ect...... Despite there being a little bit of a lack of space, it all tasted good and I was surprised with the quality. Later in the day we were served an afternoon tea which featured 2 sandwiches (egg mayonnaise and cheese with tomato chutney) and a scone with jam and cream. Both meals were served with a choice of coffee, tea or water. 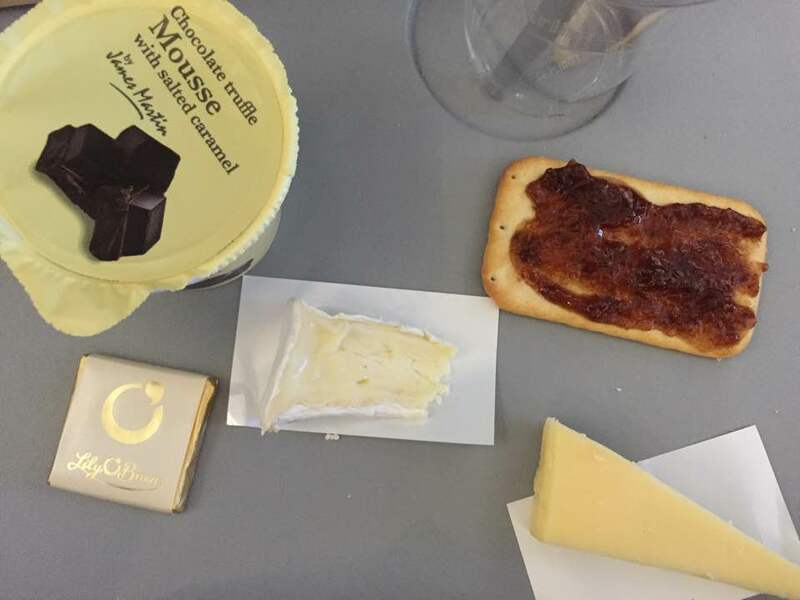 You can also buy your own food on board from a range of snacks and we treated ourselves to a Ploughmans and wine deal for 2 (£14) in addition to what was on offer on the journey home. The leg room on board a Thomas Cook long haul flight was perfectly adequate for Steve and I - if I was to pre-book a seat, (we didn't pre-book this time), I would make sure that we had window seats as it can be awkward sharing an armrest and sitting so close to a stranger for 9 hours which is what one of us had to do sitting in a row of four as a couple. The service we received on-board was fantastic. The flight attendants were all professional, smart and knowledgeable. 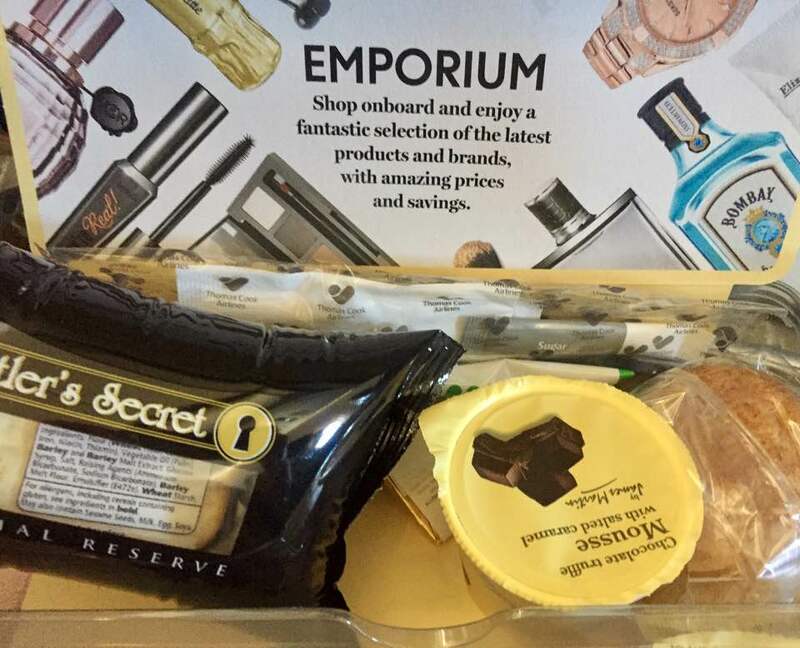 You can buy a wide range of duty-free goods on-board and during our flight they were available with an additional 20% off too so there were some real bargains to be had. You can pre-order duty-free goods for your return flight using an order form provided too (you pay on your return) and they take debit cards or a range of currencies. On our return flight, everyone was provided with their own cushion and blanket for comfort. Our holiday to Cuba cost us just over £1000 per person including flights, transfers and accommodation in a 4* hotel on an all inclusive basis. For this price I definitely would not expect a luxury flight and overall, a Thomas Cook flight matched my expectations of what a budget long-haul flight is like. The staff were lovely, there was sufficient leg room and the food provided was much better than expected however I would like to see some improvement in the entertainment they offer. 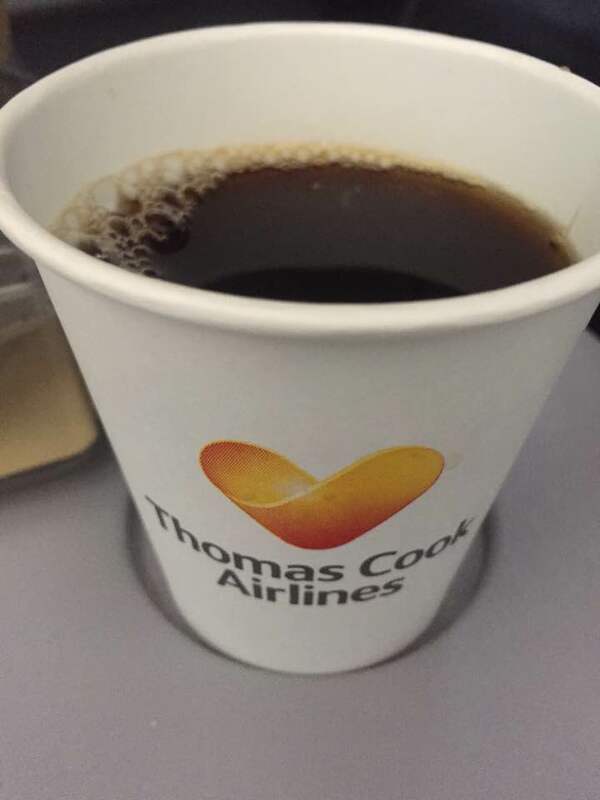 Let me know if you've ever flown long-haul with Thomas Cook and your thoughts on the facilities provided. Wow, I'd be so super irate at that entertainment package!! 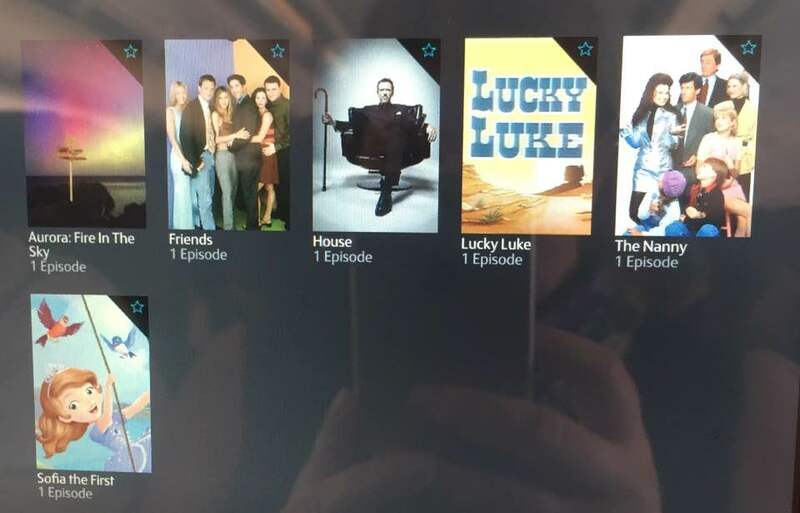 I flew Virgin to New York last year, the holiday was a super deal (£450 per person for a week in NY) and we got access to tonnes of films, TV shows and we had complimentary drinks the whole way. I think I must have had about 5 gins, haha. I'm flying KLM to Vegas in October so I'm hoping for the same level of service. I'll certainly be loading up my ipad though, just in case!! I kind of knew it was coming but I know what you mean - the entertainment on board definitely falls short of what I've experienced with other airlines. WOW I need a £450 trip to NYC. What a bargain! I fly KLM to Dubai and it's amazing. Comes with lots of entertainment choices. Thanks for the review - looking at going with Thomas Cook next year for a family trip to Mexico. We flew with Thomson to Mexico previously and that was absolutely amazing! I remeber flying from Manchester to Goa. It was my second time flying. I was really surprised at how comfortable it was and the seats were amazingly comfy. We had a good selectiom of movies and radio. But our flight back was nightmare. Then again we did get commentary pillows and blankets. Also, it didnt help some decided to bring a very baby on 8hr flight. There was a family of 4 young kids who were amazingly well behaved. At least we 80 classic radio. We flew to Varadero last year from Manchester with TC. We took a gamble and paid £500 upgrade (For the 2 of us) Upgraded to premium. Or premier, I can't remember. So it was £250 each. 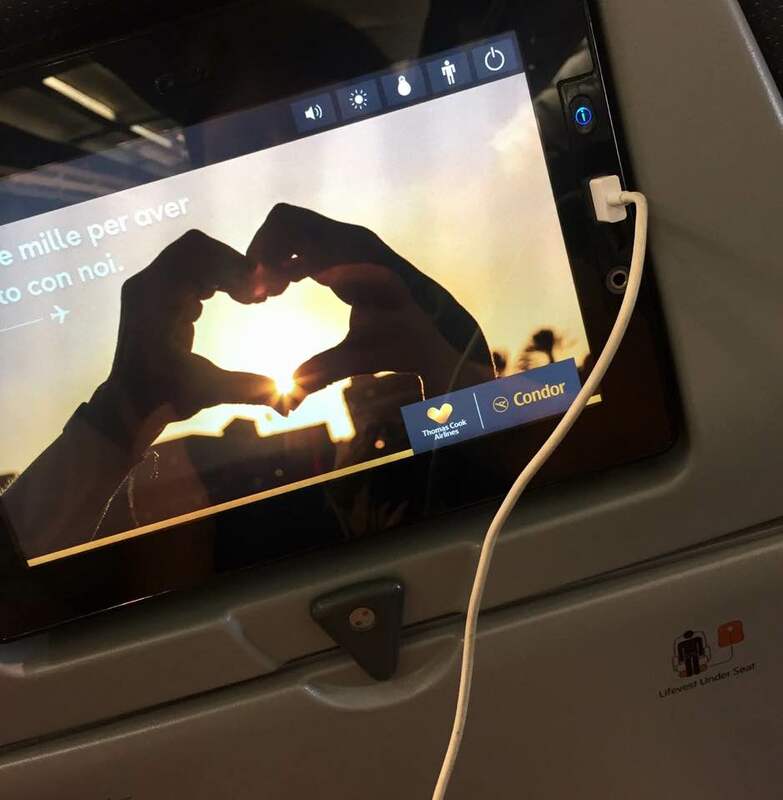 You get unlimited drinks of the flight, express check ins, more content on your entertainment, better quality food, more legroom, pitch, and a few goodies on your seat when you arrived. Personally I don't think I would do the upgrade again. We felt the staff were always to busy to serve the complimentary drinks. It was a good experience but don't think I would pay the extra £500 again as we have just been quoted an extra £800 for the same holiday at the same time of the year for next year. We defiantly want to go back to the Blau Varadero next year, but will be looking for someone else to go with. I love the closeness your photos are taken from. I can imagine photographing the table in front with a T-Rex still arm positioning! 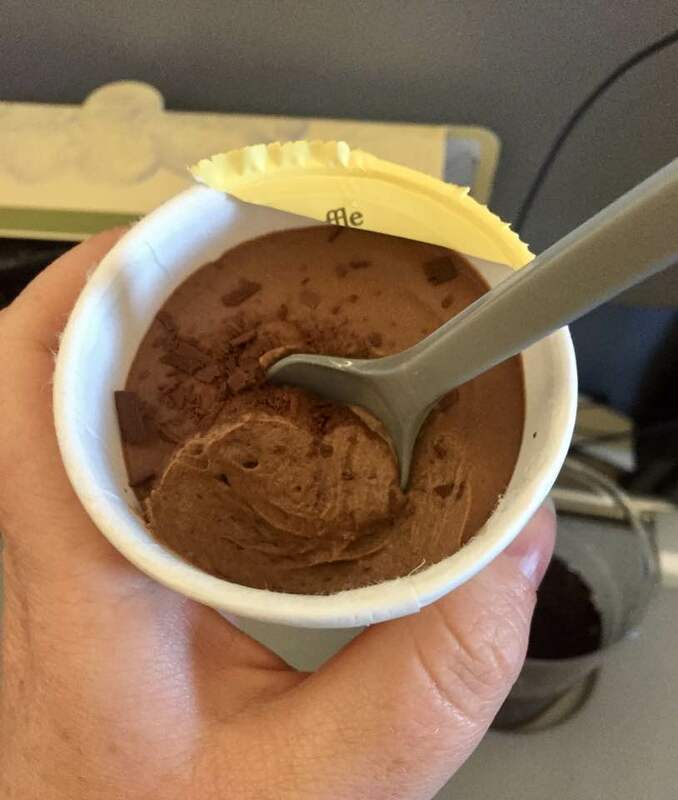 It's hard to make the food look amazing on a flight. I know it's mass catering in a confined space, but it doesn't look that bad. Movies are always a little subjective. On the flight back from Florida one year we had "Shades of Grey", not that easy to watch with the kids next to you! Likewise I was forced to watch House of Fools (I stopped liking Vic and Bob when they became daft), but nearly choked laughing at the episode available. As Cat says above. She wants to go and book up ! Thanks for the review! I fly to LA in October with Thomas Cook and this is really helpful. 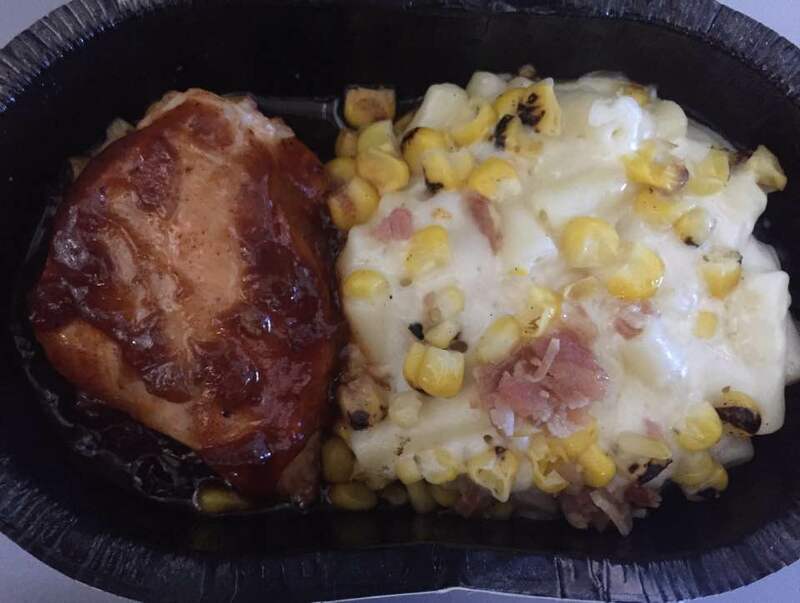 Im vegetarian, so im hoping for a decent in flight meal but I agree with others, the entertainment looks crap! It has been many years since I flew long haul with TC but maybe doing so next year and this review has been brilliant! 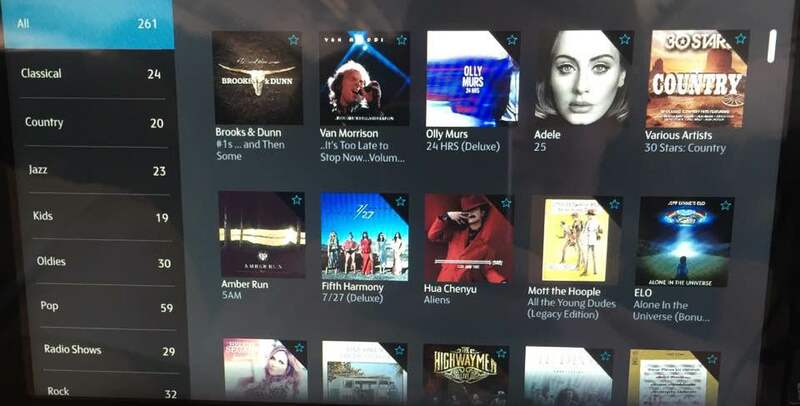 Have only ever flown with Virgin in recent years and their in-flight service and entertainment system are second to none. We just paid £6000 for a fully inclusive holiday to cancun with Thomas Cook! Reading these reviews I'm dreading the flight! Charge for everything??? Come on Thomas Cook just paid a fortune for a family of 4. We are staying in moon palace which is highly recommended but I feel Thomas Cook flight is gonna let us down on the start of our holiday and the end! What's a few extra drinks for customers paying this amount of money! I hate when these companies charge all extras! We paid enough I think! Stop being greedy Thomas Cook! Sure if you carry on robbing your customers you will put yourself out of business! 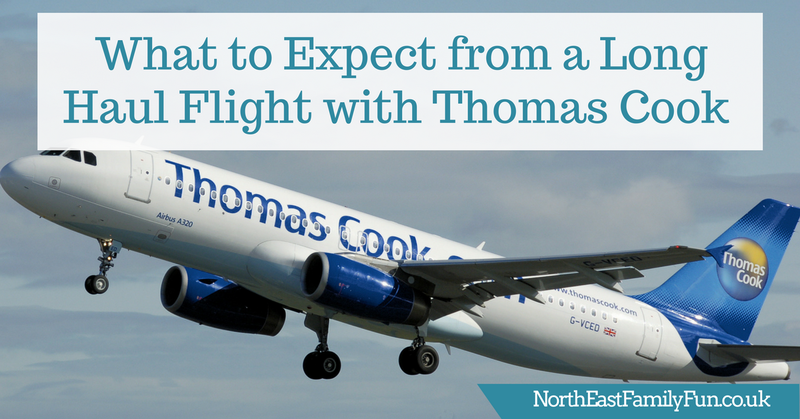 Wish I never booked the flight with Thomas Cook now if this is the case! Greed doesn't reward you!!!! Thanks so much for this review, going to Varadero late November and just took it for granted drinks would be complimentary, wrong! I wonder if it is possible to purchase the small ready mixed Gin & Tonic cans once through security, or do TC have a "no own food" policy on flights.